This map isn't part of any series, but we have other maps of highways that you might want to check out. 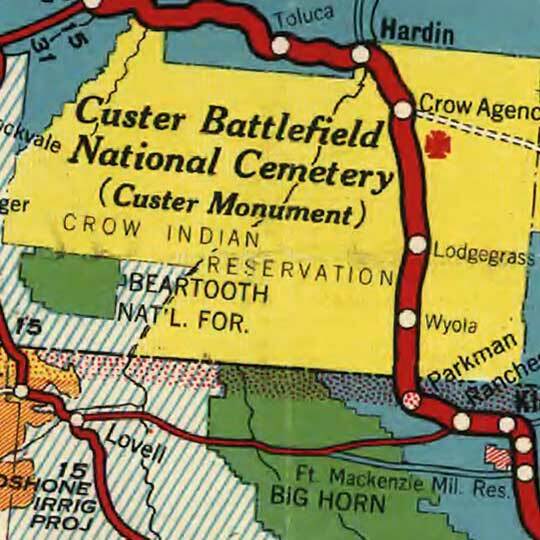 A touring map of the Custer Battlefield Highway from 1925. "Good Roads Everywhere" probably acted as a very real inducement to travel in those pre-Interstate Highway days, where you were likely to get your jalopy axle-deep in mud by making a wrong turn somewhere. The title's wording suggests that this map might've been part of the much larger "Good Roads Movement", but I'm not learned enough about such things to say that with any authority.